Amazon is getting ready for Halloween. 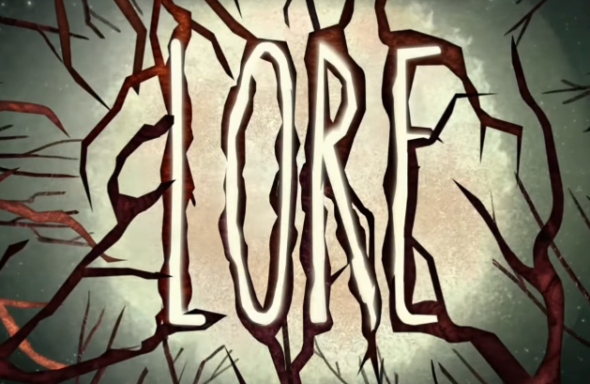 Today, the streaming service announced their new TV show Lore will debut in October. Lore premieres on Amazon on October 13th. SEATTLE – Aug. 29, 2017 – (NASDAQ: AMZN) – Amazon announced today the Amazon Original Series Lore will premiere on Friday, October 13 on Prime Video. Based on the popular podcast of the same name, which has an average of five million monthly listens, the anthology series presents the frightening and often disturbing tales based on real people and events that have led to our modern-day myths and legends. All six episodes of the series, from Executive Producers Ben Silverman (The Office), Howard T. Owens (The Biggest Loser), Gale Anne Hurd (The Walking Dead), Brett-Patrick Jenkins (Face Off), Glen Morgan (X-Files), Jon Halperin and Mark Mannucci (A Year in Space), will be available to Prime members globally on October 13. What do you think? Do you listen to Lore? Will you watch the Amazon series? More about: Amazon TV shows: canceled or renewed?, Lore, Lore: canceled or renewed? Lore on Amazon: Cancelled or Renewed for Season Three? Lore: Is the Amazon TV Series Cancelled or Renewed for Season Two?